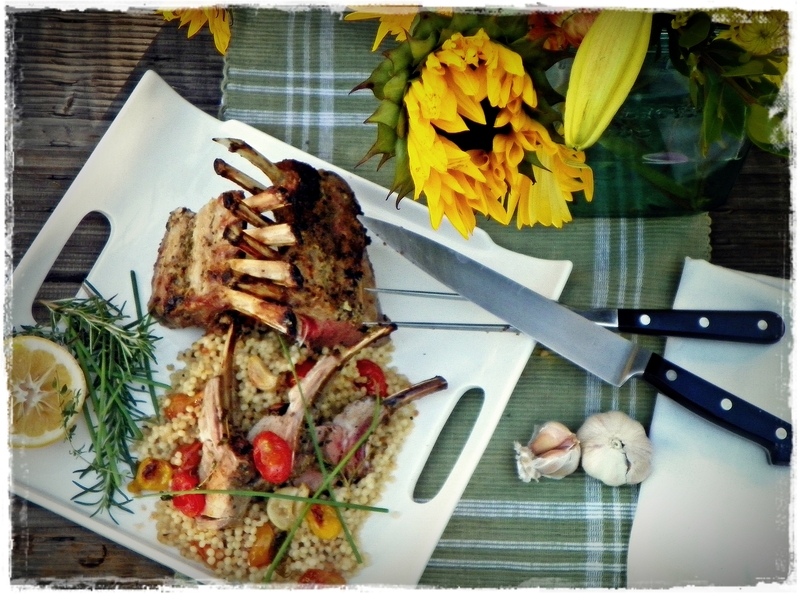 When I was growing up, we only had lamb at our dinner table a handful of times. It was expensive and reserved for special occasions. And when we did have lamb, it was always served with mint jelly. I don’t like mint. 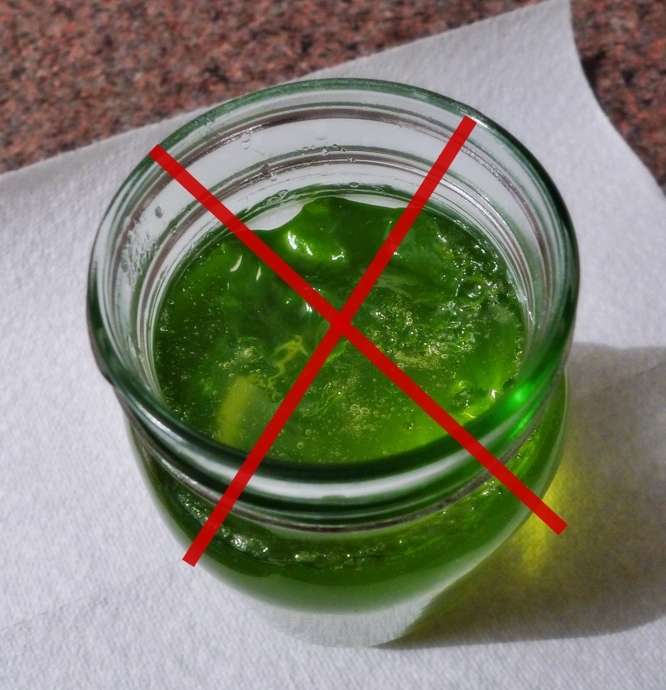 I really don’t like mint jelly. I especially don’t like mint jelly with lamb. So I decided many years ago that I didn’t like lamb. Years later–I don’t really remember exactly when–I tasted a lamb chop at a fancy-ish restaurant while on a date with a boyfriend. A lovely, pink-centered teeny little chop perfectly crusted in garlic, salt and rosemary. It was a new awakening. A lamb revelation. I love lamb. Lamb chops, leg o’ lamb, lamb meatballs . . . you name it. Just keep the mint (jelly or otherwise) at a distance. Come to think of it, maybe it was my aversion to mint that turned me off to lamb. I still don’t care for mint. 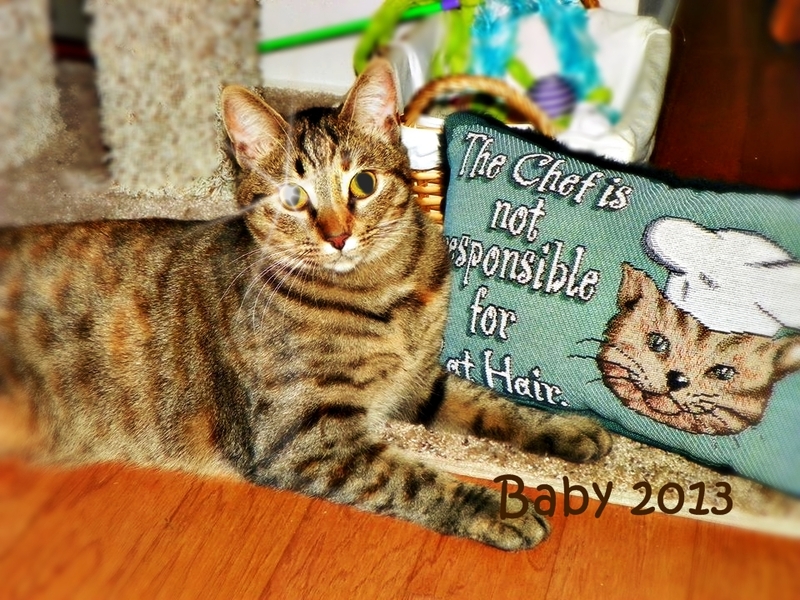 But I still like lamb! 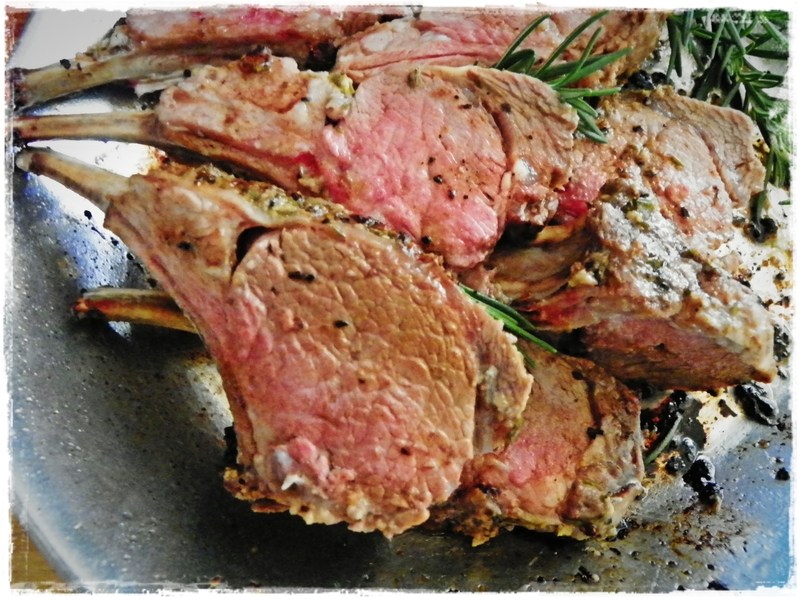 If you like lamb, you know it can be enjoyed year-round, but spring is typically the season when lamb is celebrated. A beautiful roasted leg of lamb is often the centerpiece for Easter dinner. It can also be served as part of the Passover dinner. In the U.K., lamb traditionally symbolizes the “re-birth” of the earth and the passing of the harsh winter season. Whatever . . . it’s just good stuff. Now it’s yum time. This is my absolute favorite way to season lamb–it’s simple: kosher salt, fresh pressed or minced garlic, fresh cracked black pepper, chopped fresh rosemary, a squirt of fresh lemon juice, lemon zest and some olive oil to make a moist, pasty rub. That’s it. Easy peasy. 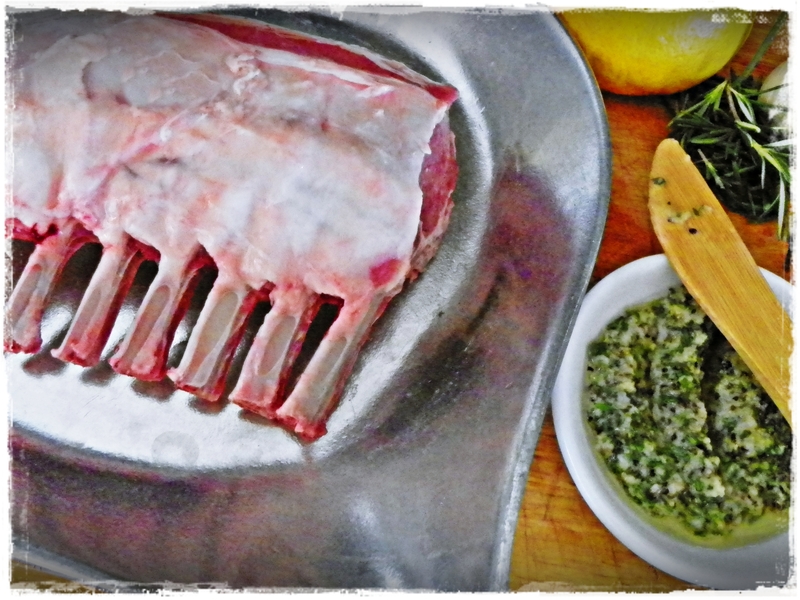 For one rack of lamb, I use about 1 generous tablespoon chopped fresh rosemary; 2 cloves of garlic, minced or pressed (I like to use a garlic press to smash it up real well for the paste); 2 teaspoons kosher salt; 1 teaspoon coarse ground black pepper; 1/2 teaspoon fresh squeezed lemon juice; 1 teaspoon fresh grated lemon zest. Combine it all in a small bowl and then mix in just enough olive oil to make a loose paste. 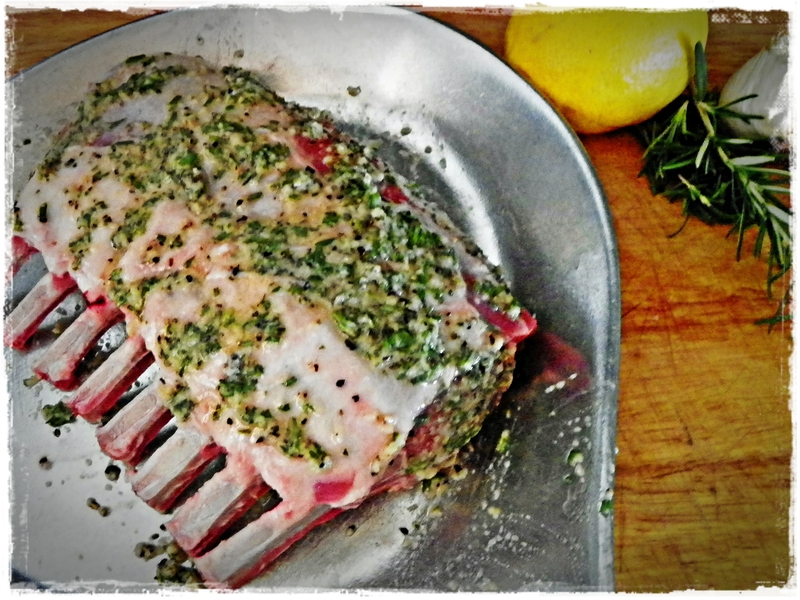 Then rub it all over the lamb–get your hands dirty! A lot of recipes tell you to sear the outside of the lamb in a skillet on the stove first. I don’t think that’s necessary. I just roast the rack in a 425 degrees F oven for about 20 minutes for medium rare. At 425 degrees, the outside fat gets a nice salty, garlicky crust. It’s handy, of course, to use an instant meat thermometer to check the temperature of the meat. It should be at about 120-130 degrees F when you take it out of the oven to rest. Let it rest for 10 minutes before slicing. Lamb perfection! No mint jelly in sight! 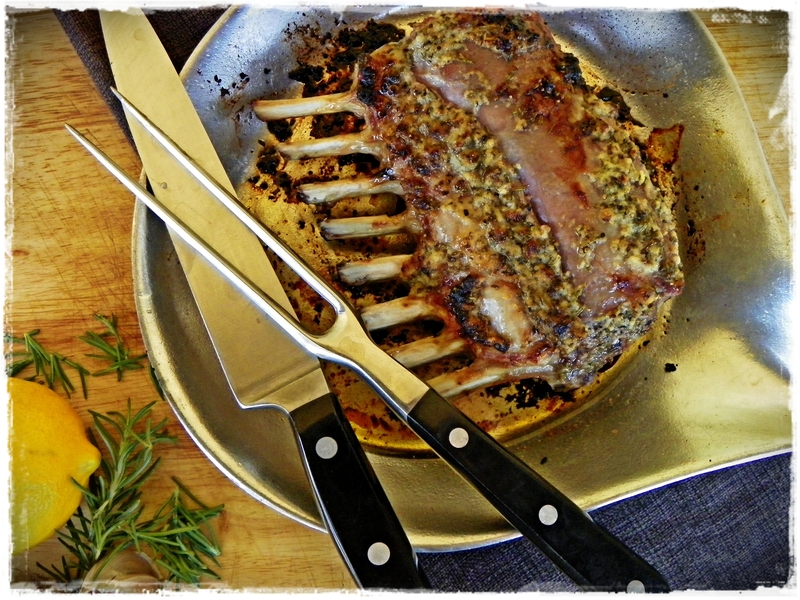 Rack of lamb is perfect for dinner this time of year. 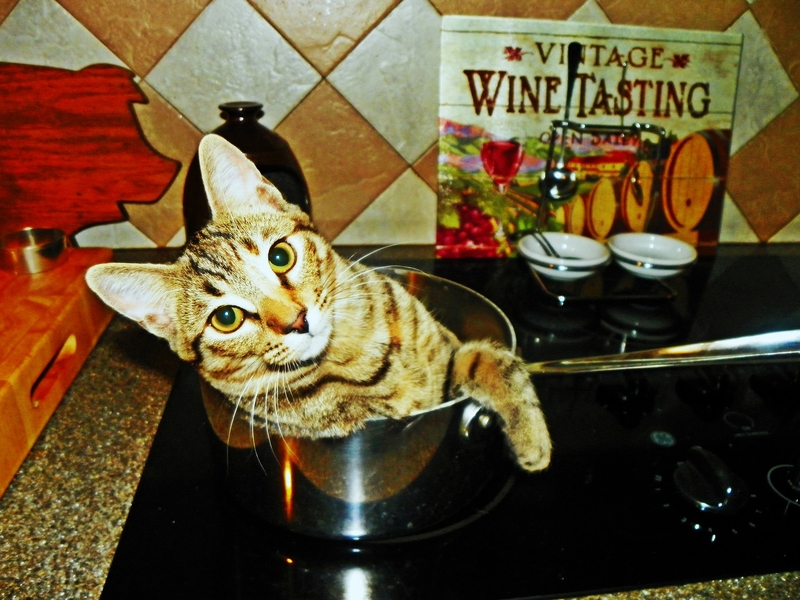 It’s a hearty protein that’s not too heavy. Serve it with a healthful salad of couscous or grains and grilled vegetables. ← The Dirty Work – A Giveaway! do you ever prepare it grilled? I find I’m able to get past the gamey notes when it’s grilled. would you use the same seasoning? Be still my heart! Alison–your description of your Sunday roast dinners is making me drool on a Saturday morning.